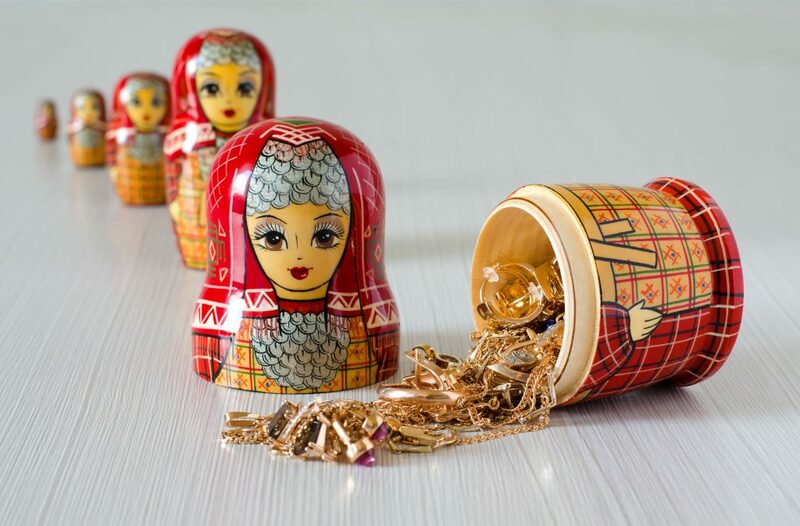 Matryoshka nesting dolls are prominent as traditional Russian souvenirs and are popular all over the world. If you visit Russia, this is the first thing that comes to mind when you think about presents you want to bring back home. 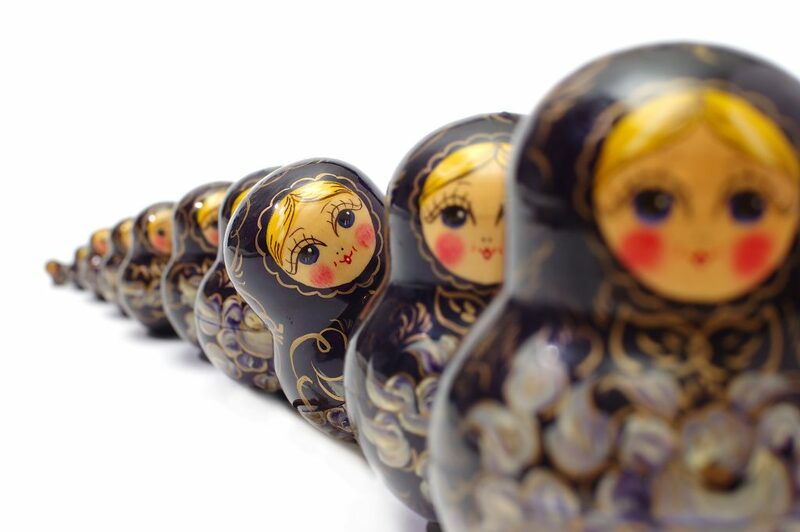 Matryoshkas are famous Russian dolls that first appeared in 1890. The traditional design was inspired by the image of a young woman in national Russian dress wearing a headscarf. The very first Matryoshka appeared in a workshop located in Abramtsevo estate near Moscow. 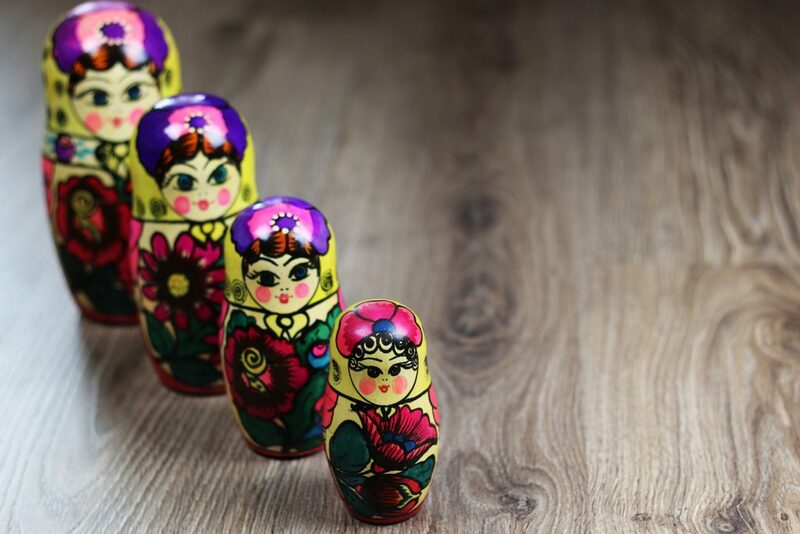 According to the official legend, the label “Matryoshka” came from a Russian female name that was very popular at that time, Matryona. Originally, it was a Latin word that meant “mother” and eventually became associated with the maternal figure in a big Russian family. In ancient Rome it described a beautiful married young woman with a good reputation. Later, the word transformed into the noted Russian name, Matryona. The idea of putting one doll into another came to Russian manufacturer Sava Mamontov after a random visitor brought a beautiful Japanese doll to his workshop. 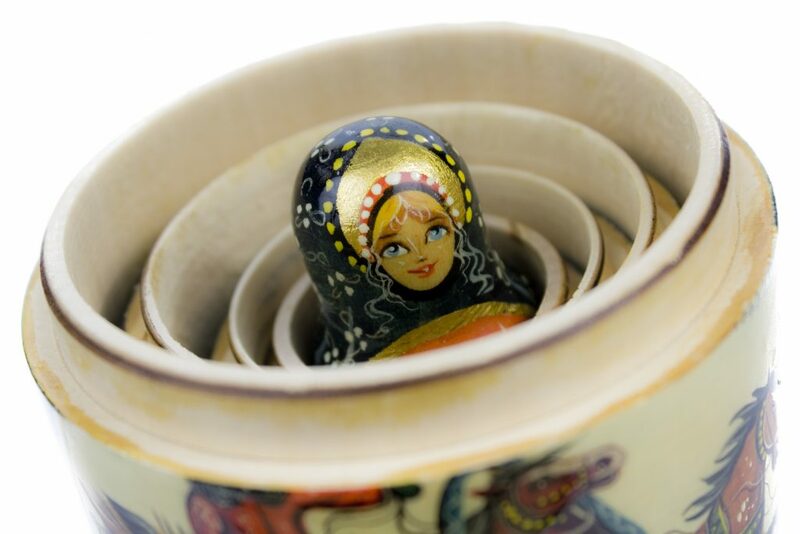 No one knows who exactly carried this figure to Sava, but the notion persists that the very first Matryoshka-type doll was made on Honshu Island in Japan and was later taken to Russia, where local artisans transformed it into a national folk doll. The first dolls portrayed a whole family with mothers, daughters and sisters. Subsequent variants were more creative, showing pictures of men and people of different nationalities and ages. However, the female Matyoshka doll, representing a beautiful young fair-haired woman, remains the favorite. 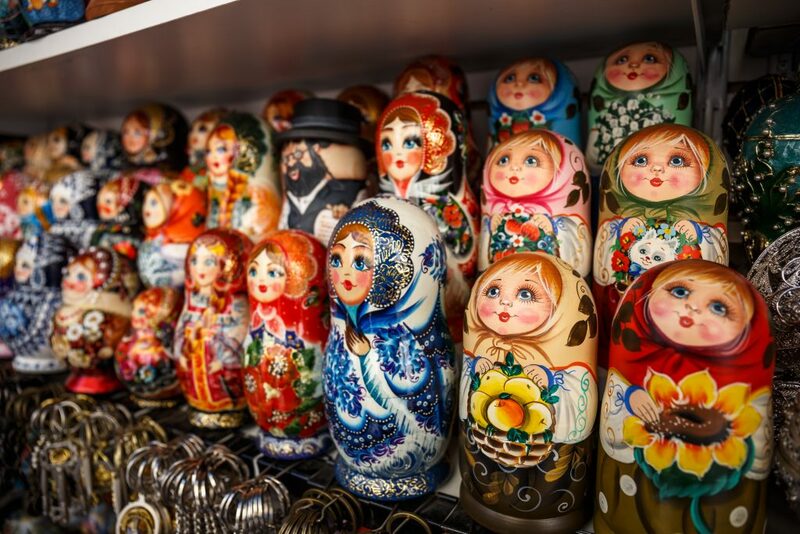 One of the most popular producers of dolls in Russia is the factory “Semionovskaya Rospis,” and they continue old traditions of creating Matryoshkas. They are especially known for making dolls of Father Frost and his granddaughter, Snegurochka. Another famous factory producing Matryoshka dolls is Polkhovsky Maidan located to the south-west of Nizhny Novgorod. Their dolls are distinguished by bright paintings, crimson colors, and expressive ornaments.